Tangyud Monastery at the village of Komic is built like a fortified castle on the edge of a deep canyon, with massive slanted mud walls and battlements with vertical red ochre and white vertical stripes. 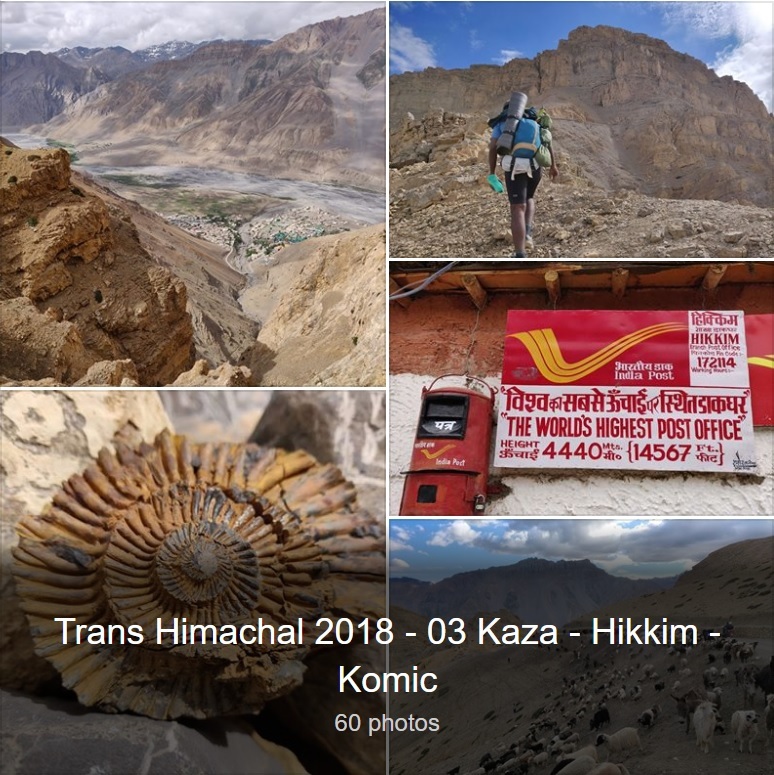 It is one of the highest altitude gompas (monasteries) in India, at an altitude of 4,520 metres on the edge of a deep canyon and overlooking the town of Kaza. 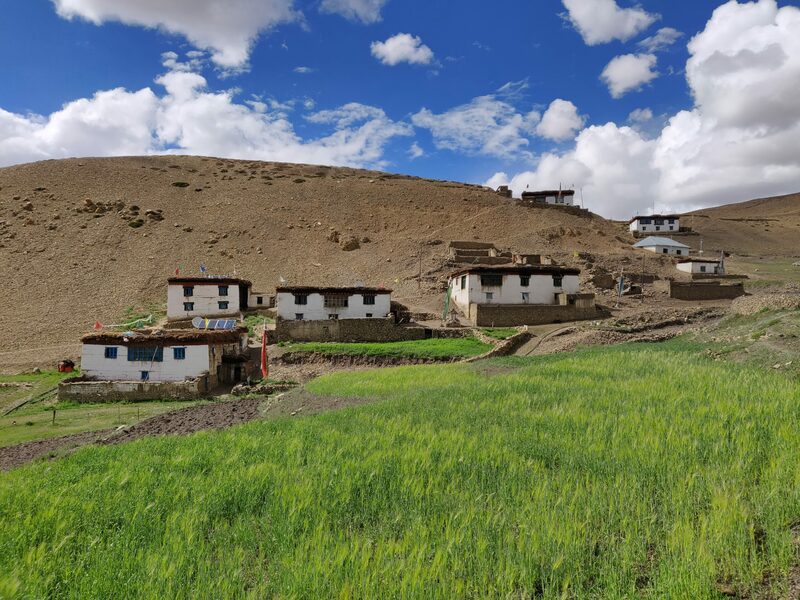 Hikkim is a small green oasis in the barren high altitude desert of Spiti at an elevation of 4,400 m. Houses are built in typically Ladaki style with stones and wood. 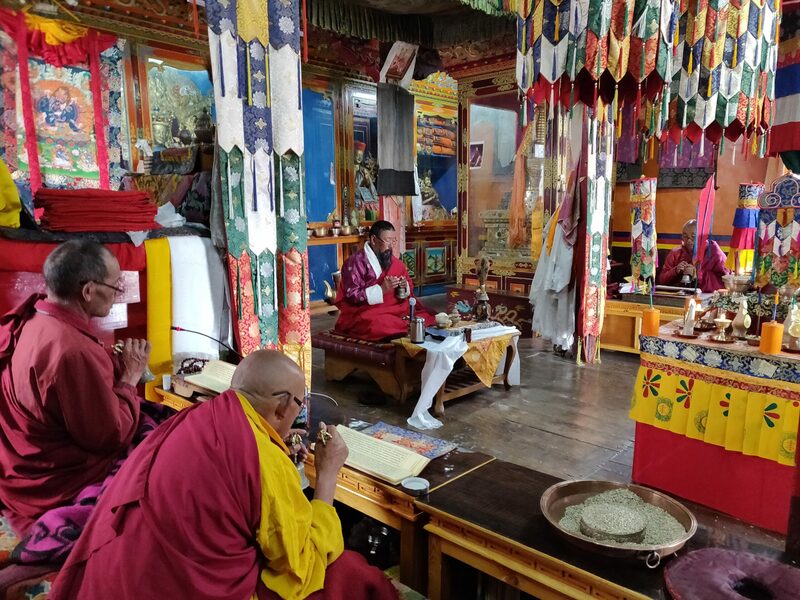 Budist monks chanting Tibetan prayer songs at the Komic monastery, world’s highest motorable monastery at 4587m, near to Hikkim village in the Spiti Valley of Himachal Pradesh. 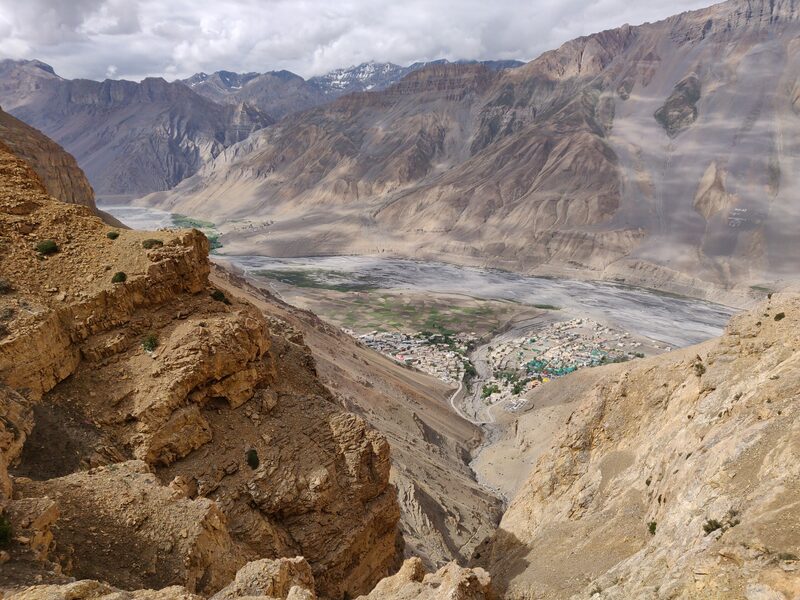 The Tangyud Gompa is claimed to be over 800 years old and built like a fortified castle on the edge of a deep canyon overlooking the town of Kaza. 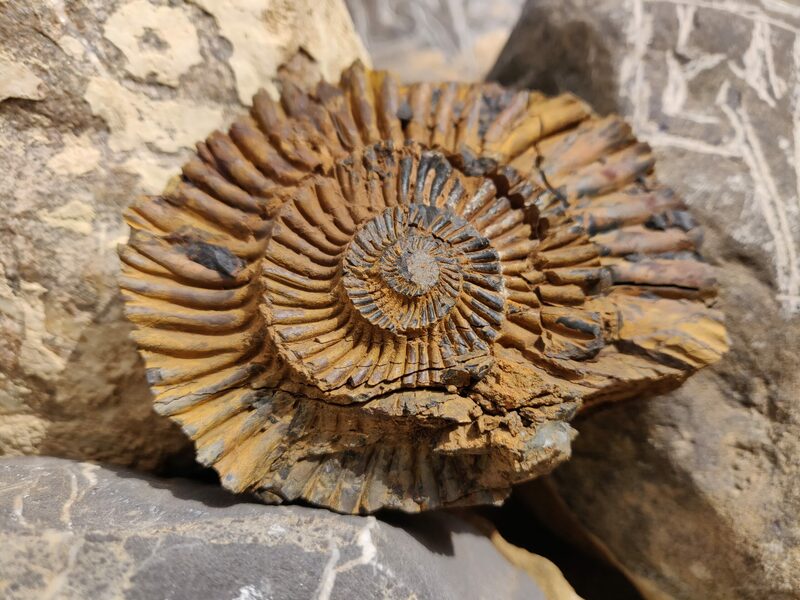 Ammonite fossils are frequently found near Hikkim and other small villages above the main Spiti valley and sold by local villagers to passing tourists. From Kaza a road climbs up towards Hikim and Langza towns located high above the main Spiti valley. The villages are small fertile green patches in a barren high altitude desert. 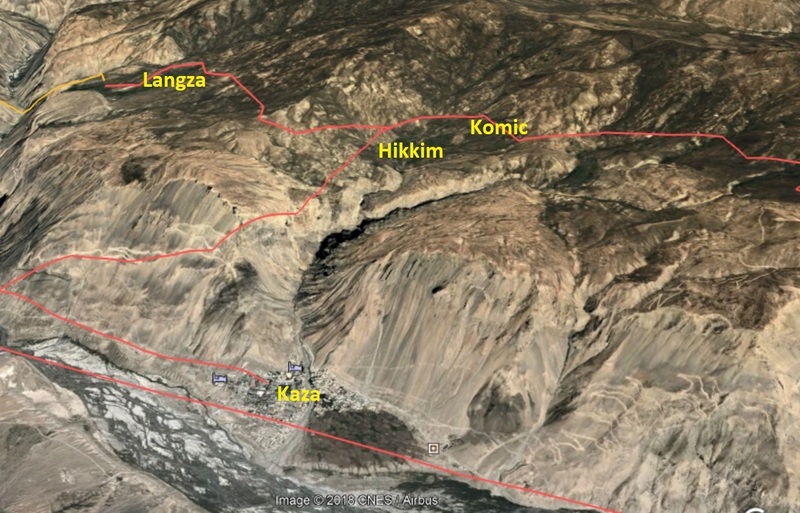 Kaza is located at 3700m altitude from where a hair pin road leads up to Hikkim (4400m) and Komic (4500m) villages. 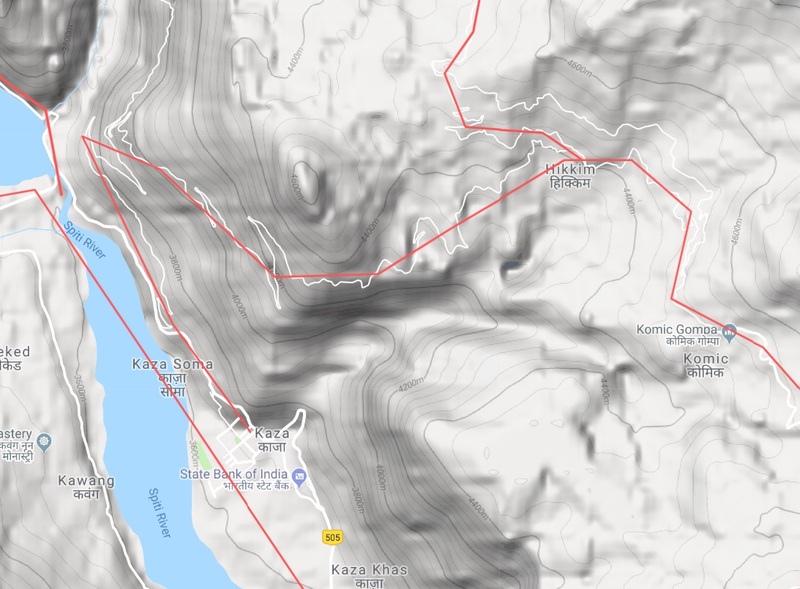 Near to Komic one can visit the beautiful Tangyud Monastery and also walk further towards Demul village along a dirt track offering stunning views on an out of this world landscapes of steep valleys and canyons.